Now more than ever, businesses need high-quality accountants. As an accounting major at George Fox, you’ll receive a Christian college education that will yield career opportunities for a lifetime. Our accounting classes stress oral and written communication skills and group problem-solving, along with the importance of professional responsibility, ethics and servant leadership. Upon graduation, you will be prepared to find work in the public, corporate, governmental and nonprofit arenas. Several of our graduates are employed by major accounting firms. Still others are employed in government and private industry or enrolled in graduate school. Our graduates also have an impressive track record. George Fox ranked 36th out of 244 institutions of our size for the pass rate of our graduates on the CPA exam, according to data released in 2013 by the National Association of State Boards of Accountancy (NASBA). 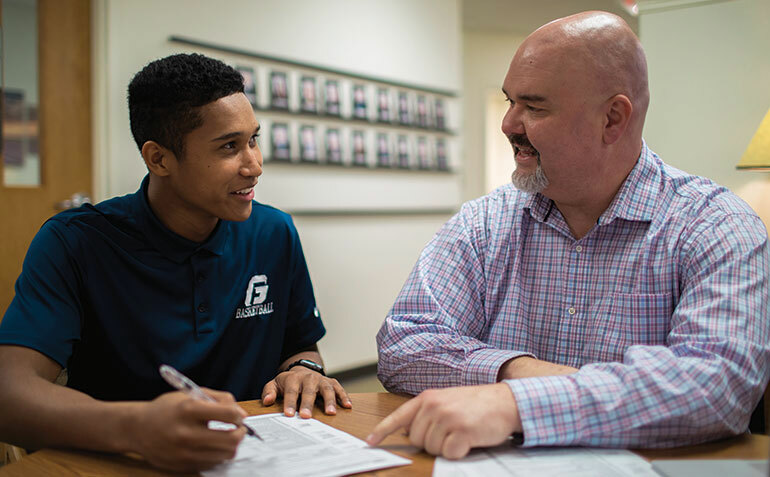 Request more information about the accounting major at George Fox University or schedule a visit to begin your education at Oregon's Christian university, ranked as one of the top Christian colleges in the nation by Forbes. According to the Bureau of Labor Statistics, employment opportunities for accountants and auditors are expected to grow 10 percent between 2016 and 2026, faster than the average for all occupations. In general, employment growth of accountants and auditors is expected to be closely tied to the health of the overall economy. As the economy grows, more workers should be needed to prepare and examine financial records. Evergreen Aviation and Space Museum, McMinnville, Ore.
SP Newsprint Co., Newberg, Ore. Duck Pond Cellars, Dundee, Ore. This course is offered in conjunction with the IRS and the AARP. Students receive the skills and training necessary to prepare individual income tax returns, and then offer free tax preparation and e-filing services to low-tomoderate income individuals in the greater Newberg community. As a required part of the Auditing class, students are required to solicit a local business for a free evaluation of internal control design and risks. The students deliver a final product that includes a written letter of recommendations as well as a finalized copy of the business’ internal control procedures and flow chart. Our small classes allow students to benefit from frequent one-to-one mentoring. 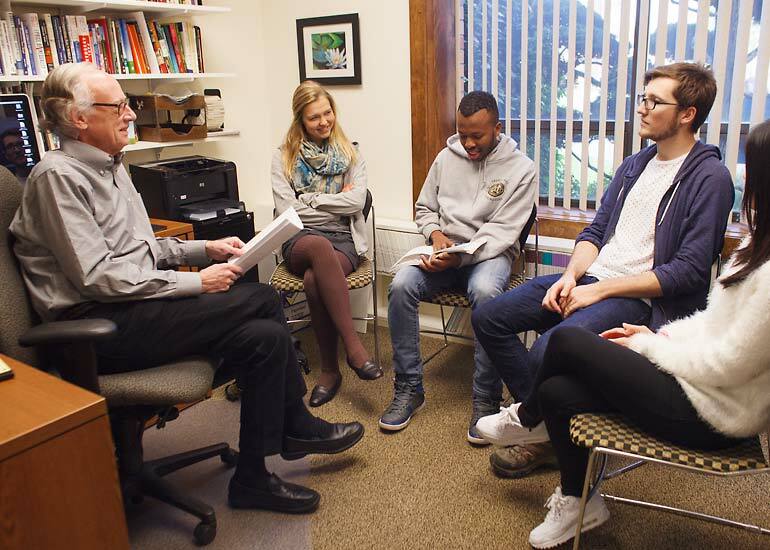 The university’s 14-to-1 student-to-faculty ratio allows for plenty of personal attention. We offer a network of alumni in positions of responsibility throughout the world. 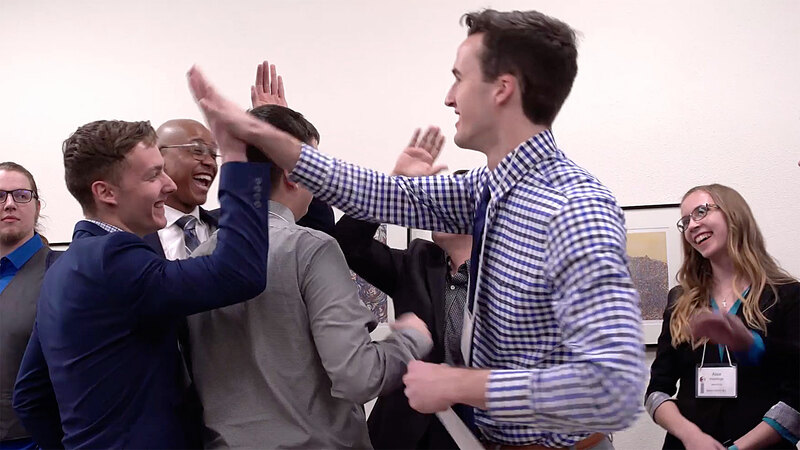 Each year, our business majors have the opportunity to compete in this team competition that uses management simulations to test students' corporate decision-making skills.